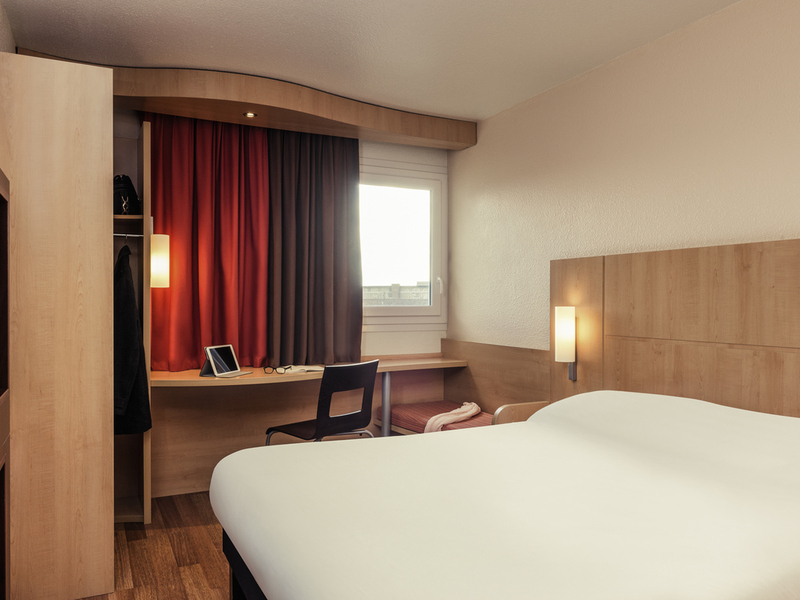 The ibis Epinay-sur-Seine hotel is located 328 yards (300 m) from an RER line C station in northwestern Paris just 5 minutes from Parc des Barbanniers, the Chanteraines business zone and the port of Gennevilliers. It is near the Enghien Casino and the Sta de de France, which is served by the T8 tram. The hotel boasts 87 air-conditioned and non-smoking rooms, including 2 for people with reduced mobility. It offers a meeting room, brasserie, free underground and outdoor parking, bar and free WIFI. 24-hour bar service (alcohol served until midnight). Dice and card games and TV available for use by hotel guests only.